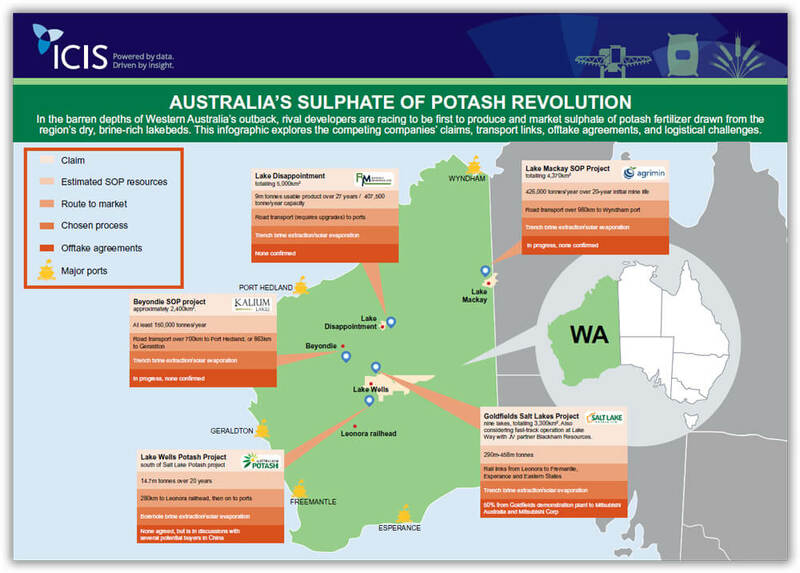 In the barren depths of Western Australia’s outback, rival developers are racing to be first to produce and market sulphate of potash fertilizer drawn from the region’s dry, brine-rich lakebeds. This infographic explores the competing companies’ claims, transport links, offtake agreements, and logistical challenges. Download your copy of the infographic below.